Food plays a very special role in Fred Armisen and Carrie Brownstein's award-winning satire Portlandia--and the way Portlandia's residents enjoy and talk about food are a huge part of the show's personality. Fred, Carrie, and director Jonathan Krisel take you to the dishes that define the show, from cult-raised chicken to Stu's stews, from pickled veggies to foraged green salads. 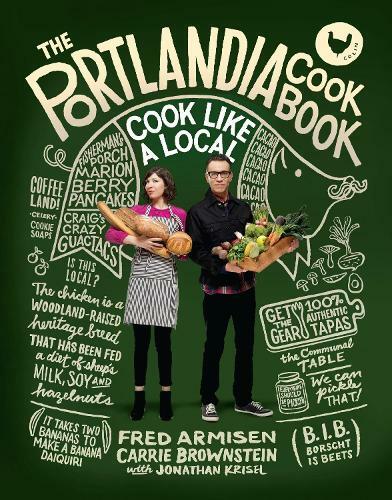 Complete with new full-color finished food shots and illustrations, and paired with humorous stories, head notes, and sidebars from the loveable food-obsessed Portlandia characters, this is a funny cookbook, with serious recipes, for people who want to bring Portlandia right into their kitchens.